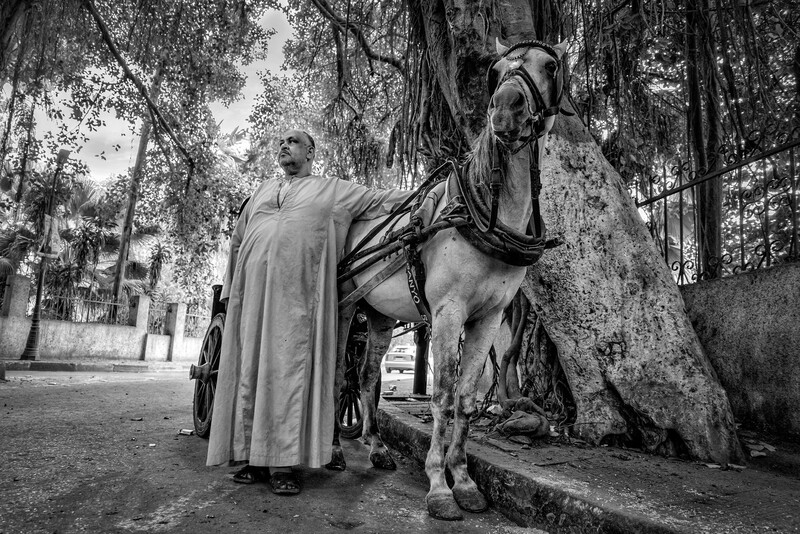 Ahmed the Egyptian coachman and his horse in front of his phaiton. Pattaya, Thailand. "Stolen faces.." A black and white portrait from Thailand..